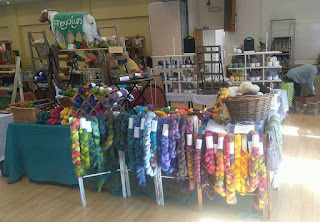 Oops, I haven't even done a post of events for this year yet, and I've already whipped through one little wool show and one guild workshop so far. 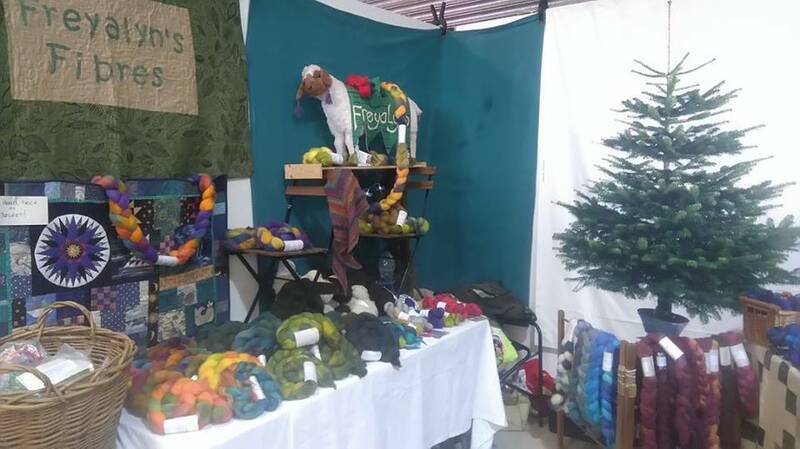 Not only do I have my usual stand at Wonderwool, I'm also teaching again: I have a workshop on spindling for beginners on both days. Already sold out - sorry! 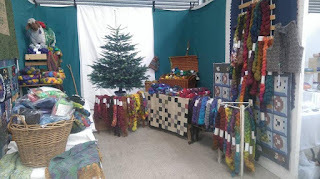 Off to Stocksfield again this year, after missing last year. It's always fun to catch up with friends in the guilds up there, and it's such a lovely drive up apart from the motorway. The usual lovely little show at Armley Mills Industrial Museum, when all the vendors are tucked amongst all the exhibits. I always look forward to seeing where I've been put, and for a one day show this is very well attended. In previous years we've had alpacas to pet and walk, and a gin palace! Not to mention re-enactors, the mill equipment running, and interesting films being shown in the perfect tiny cinema. I'm teaching my long-draw workshop here again. 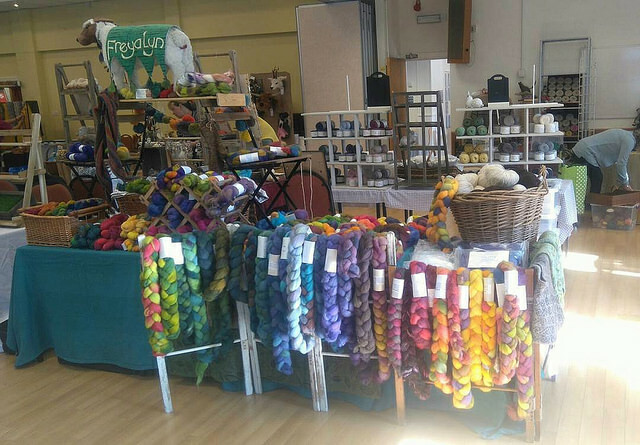 Gwynedd Guild of WSD - 13 July. This is a new one for me, and I'm looking forward to indoctrinating a new gang of spinners with the delights of spinning woollen yarn long draw. 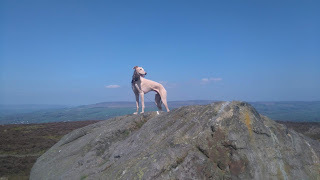 This one's going to involve an overnight stay because of the distance, so we might manage a walk up a hill on the way home. For the first time I'm vending at the Association's Summer School market. New workshop for me this time - Handfelted slippers. Samples for the workshop are being produced and embellished and protected from Arthur who thinks they are particularly good for chewing. Bit of a late one. I applied at the last minute and was pleased and surprised to get in. Durham Guild of WSD - 19 October. 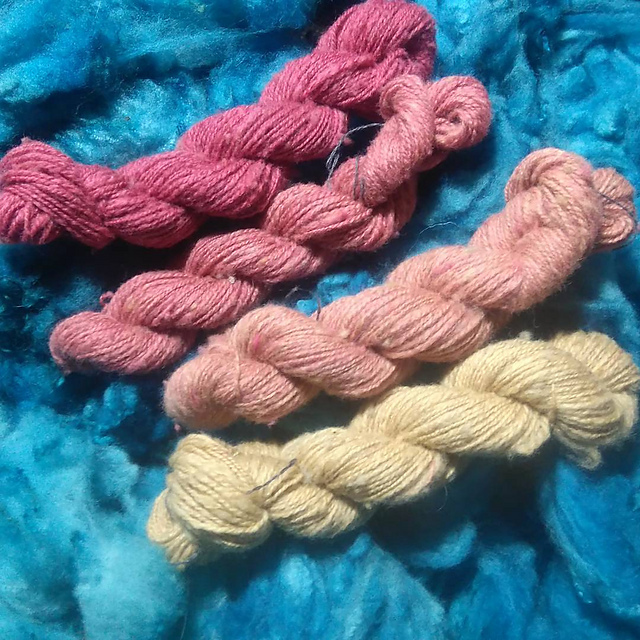 This is my colour and fibre blending workshop, where I turn up with handcards and drumcarders and talk about processing fleeces, blending different wools and fibres, playing with colours, and then stand back and let people loose! I was restrained in my yarn buying at this year's EYF, as I have two sweaters' worth as yet unknit from last year (Uist Wools and TJFrog, since you ask. But this year I succumbed right at the end of Friday to 400g of Uradale's 2-ply jumper weight, in dark purple to pale blue. 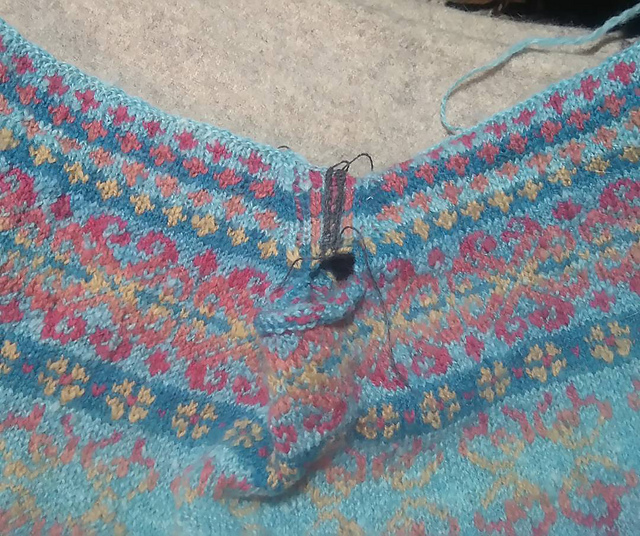 I see a top down, yoked colourwork sweater, fading from dark round the neck and shoulders to pale cuffs and bottom, so I need another colour. 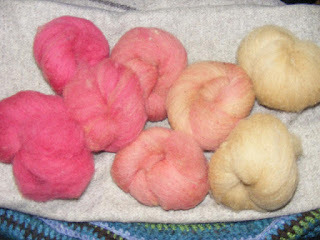 Here are three quick spindle-spin samples I whipped out today. The top one is Merino d'Arles, very soft and squishy, ridiculously elastic as yarn, and a rich cream colour. Very matte and smooth - a good contrast with the heathered blue Shetland. Next one down is BFL and silk. Beautifully shiny, but both fibres are flat and have a habit if crushing in use; too different from the Uradale to make a consistent knitted fabric, though it would look glorious to start. Last one is one of John Arbon's blends, Devonia Cream I think. It's mostly longwool but much fluffier and whiter than the BFL. I could get a more airy and woollen-like yarn with this, and it would glow against the blue. There's a halo too. Cream and blue looks surprisingly different from white and blue. 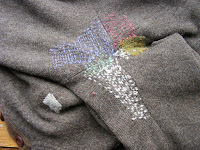 I shall knit up some samples to see what it looks like, but nothing fussy as I'll probably have to unravel. Flat and matte with a consistent fabric, or bright white and haloed? However, I'd better finish at least one thing before I start this. 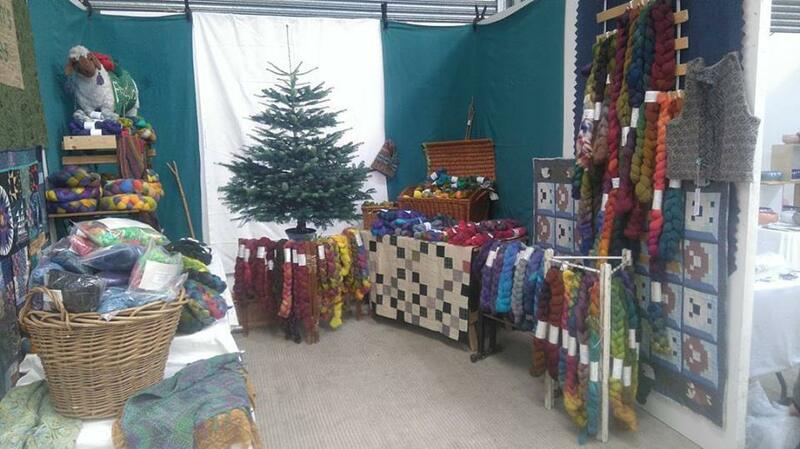 Currently ongoing are socks (in raggsock yarm from Midwinter Yarns, addictive stuff for cushy socks), a colourwork vest (Carraig Fhada in Buachaille) and a big semicircle shawl (Knowth, in my handspun, for a trade at Wonderwool). 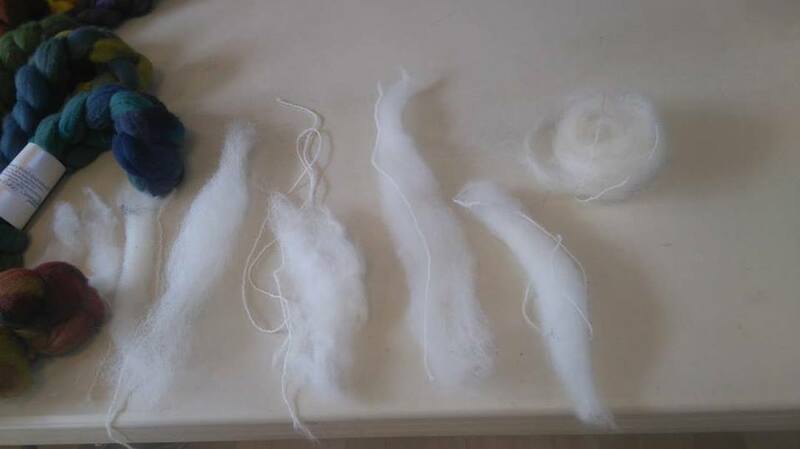 Dyed yarn drying. 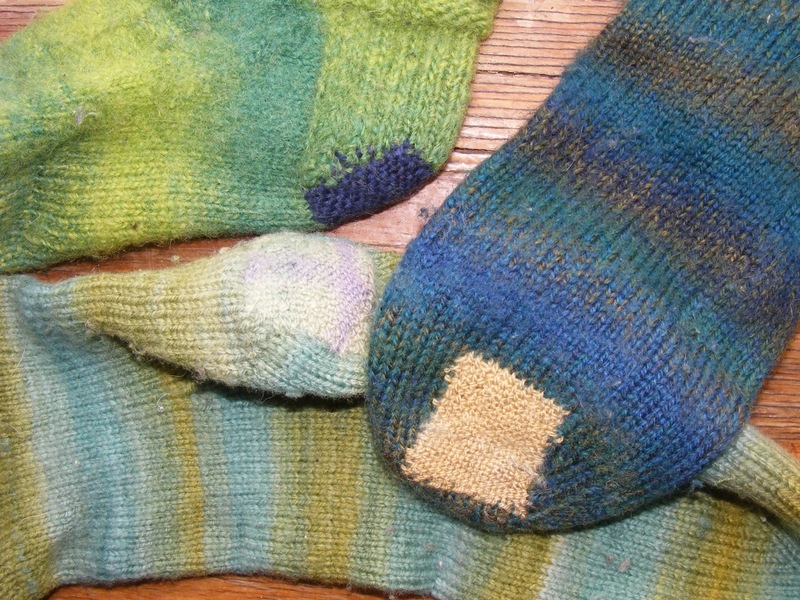 Most of this is a commission; the two skeins on the left are sock yarn that got stuffed in to fill the pans. Rather pleased with the brightness and colour-depth. Off the needles this morning, cast on on Friday morning, spun on Thursday evening. Mark needed a plain beanie, no bright dragons or disreputable deer, so this is woollen-spun Shetland 2ply, for warmth, and a simple 2x2 rib that I really enjoy starring into the crown. New spinning. 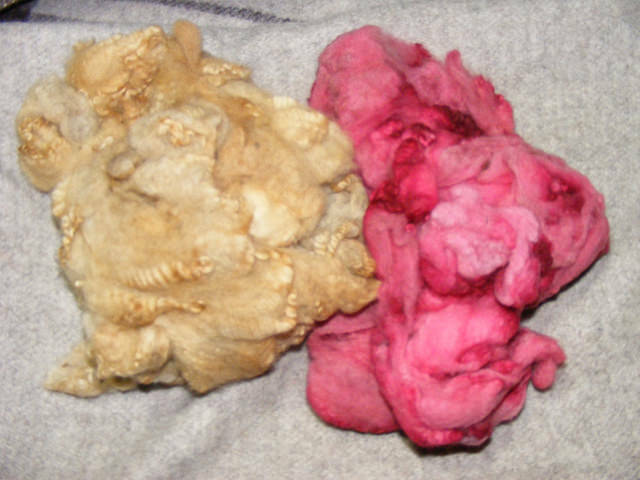 This is all merino d'Arles, semi-woollen spun from tops. The dyed is a Northern Lights colourway that's been for sale a bit too long. Really pleased with the spinning, but think I need more. No undyed of this fibre left, but there's some more in the boxes. There's my first show of the year a fortnight today: part of Bradford's Bishop Blaize Festival at the Industrial Museum. Dyeing proper will commence afterwards. 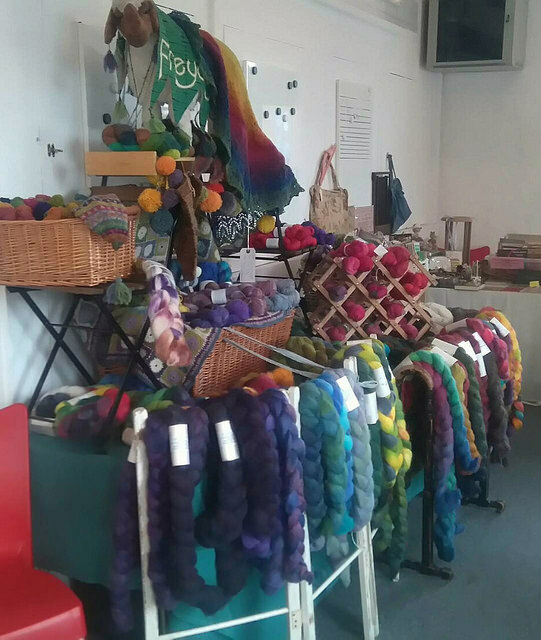 I have quite a few guild workshops booked in for this year, in spinning, fibre-prep and felting, and I want to do a post about spinning from tops too.